Score! Bellevue, WA topped the list of 100 best cities to live and launch a company compiled by Fortune Small Business on CNNMoney.com. I live in Bellevue, and Check Out My Cards is literally on the border of Redmond and Bellevue. If we were across the street, we would be in Bellevue. 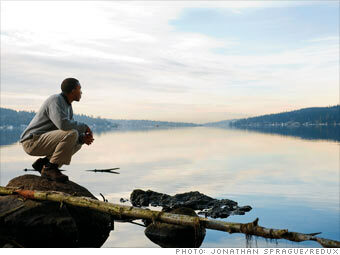 That is a great picture of Lake Washington. This entry was posted in personal life and tagged Bellevue. Bookmark the permalink. Yes i have no doubt with the scenery and the tax setup, send a copy to the New York State legislature in Albany, NY will you? we have the highest state taxes in the country to go with our beautiful scenery, they have made running a business here into a crime and driven most people out of state. we used to have 75,000 people in Binghamton and now we have 45,000. In Albany they run the state as if they were the mafia with their backroom deals and their Cadillac Escadlades and used to pass the state budget months late every year until they rigged that to get the pressure off from the newspapers. The state of NY is basically bankrupt financially and morally. They run for re-election every 2 years which means they are always running for election and they win by a landslide every time. The main occupation here and largest employer is the state itself, # 2 is welfare.